File this post under current events in Geocaching. We highly recommend all Geocachers subscribe to a Google news alert for the word Geocaching. 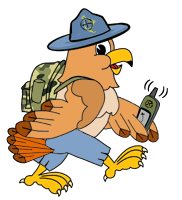 Or alternatively, you can come read this blog, and look at the RSS feed we have of the 5 latest Geocaching news stories on the internet in the sidebar. Two “negative” stories came out this week, one regarding the mass removal of caches on BLM land in Oregon, and another with a negative headline about Geocaching and North Carolina State Gamelands, although the article itself is quite balanced and generally favorable towards Geocaching. But there is a 3rd “negative story” this week, that didn’t show up on a Google news alert (yet), and it’s a big one. 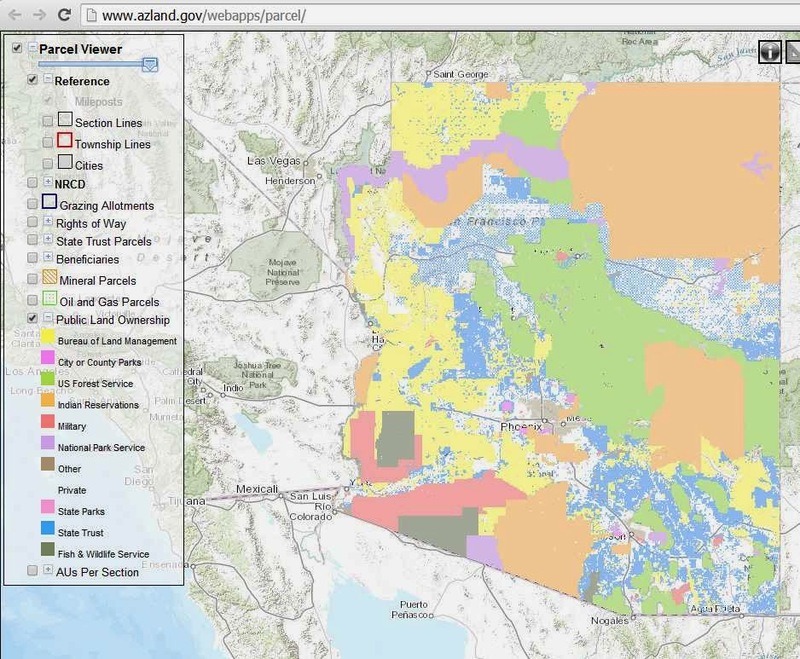 Here you see a parcel map of the State of Arizona. Everything shown in blue (light or dark) is State Trust Land. Although it’s been said for years Geocaching is not an authorized recreational activity on these lands, State officials have apparently taken it to the next level. This week, Geocachng.com HQ archived over 4,400 caches on State Trust Land property. We do have an explanation from The Arizona Assistant Director of Natural Resources Division (via an email an Arizona Cacher received from them, and has given us permission to post and/or quote from). Originally intended to be one post touching on all three news stories, we’ve decided to cover all three of individually, beginning with the situation in Arizona. Geocaching is being equated to such activities as paintball, airsoft guns and fireworks? We obviously disagree with this. If Arizona wanted to make money off of Geocachers using State Trust Land, like they do fishermen and hunters, they could simply make them buy one of these permits, which cost $15/yr. for an individual, or $20/yr. for a family; but it’s hard to imagine that happening now, with them contacting Groundspeak, and asking for over 4,000 Geocaches to be archived. The assistant director made it quite clear in his email to The Anderson Scouts that he does not consider Geocaching an acceptable recreation use of these lands. We’re sure local Geocaching organizations and individual cachers will be contacting The Arizona Natural Resources division, and that Groundspeak is trying to negotiate a solution. We wish all of them the best of luck. By the way, there are no OCNA caches on these lands, best we can tell, and we of course will be careful not to publish any in the future. Oh, and in case you’ve heard any zany rumors on Facebook that a notorious banned from Geocaching.com Arizona Geocacher is responsible for approaching The State and lobbying for these caches to be archived, it’s most likely a not the case. 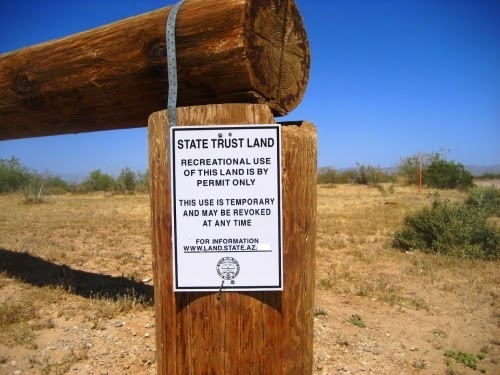 The last topic in “General Topics” on this pretty much dead Arizona Geocaching Forum is about State Trust Land, and you can see that it was reported way back in 2011 that Geocaching was not allowed on these lands by a cacher who sought permission to host a CITO event, and was denied. Caches not being allowed on State Trust Lands is not old news, unfortunately. We can only hope the decision to not allow them can be reversed in the future.